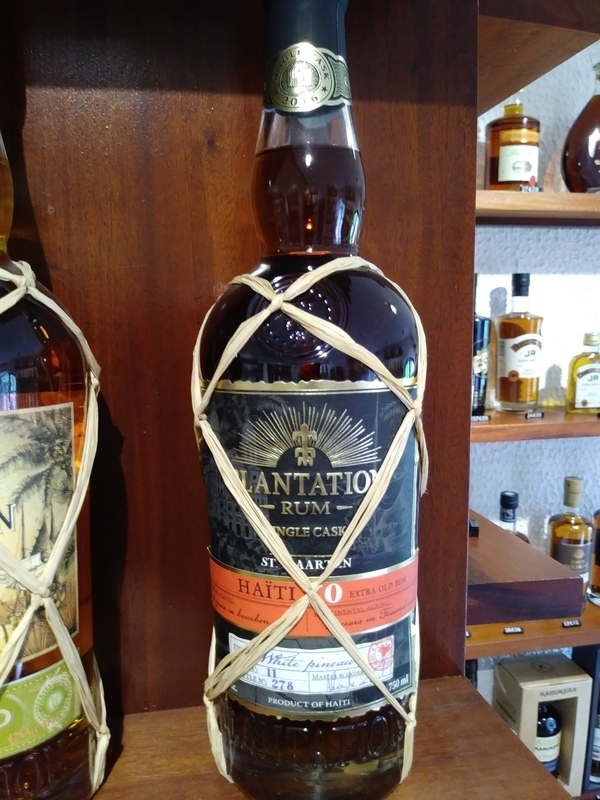 Have you found an online vendor selling Plantation Haiti XO Single Cask White Pineau Finish? Dunkles glänzendes Bernstein im Glas. In der Nase, eine wundervolle Fülle von Düften, geräuchertes Steinobst und dunkle Beeren werden begleitet von etwas Medizinartigen und etwas wie Huf oder Horn in einem angenehmen Weg. Im Gaumen springt dieses rauchig medizinartige trocken auf der Zunge herum, dabei werden leichte Malz und Karamell Aromen frei. Nüsse und süsses Obst runden das ganze ab. Im Abgang verschwindet das rauchige Aroma sofort (was ich persönlich schätze) das Obst und Karamell hält lange an. Dark shiny amber in the glass. In the nose, a wonderful abundance of scents, smoked stone fruit and dark berries are accompanied by something medicinal and something like hoof or horn in a pleasant way. On the palate, this smoky medicine leaps dry on the tongue, while light malt and caramel flavors are released. Nuts and sweet fruit complete the whole thing. In the finish, the smoky aroma disappears immediately (which I personally appreciate) the fruit and caramel lasts a long time. Sud číslo 5, láhev číslo 351. 8 let v sudu po bourbonu, 3 roky v evropských dubových sudech, ve kterých zrálo dezertní bílé víno pineau. Shrnutí: Ochutnávali jsme s kamarádem na degustačním večeru v českolipském Baru/Kavárně Kocour. 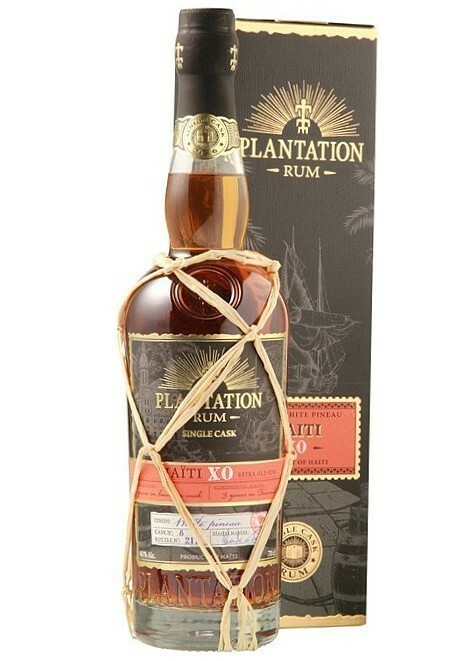 Zaměřili jsme se hlavně na novinky roku 2016 od Plantation, novou single cask řadu, kdy jsme postupně ochutnali Réunion 15 yo, Panamu 8 yo, Haiti XO a Barbados 12 yo. K tomu jsme přidali i jedno starší single cask plnění, Cuba 1998. Nová řada je naprosto fantastická a tento skončil z pěti ochutnaných SC zcela zaslouženě na prvním místě, na jeho umístění na špici jsme se shodli oba. Jeden z nejlepších a nejoriginálnějších rumů, co jsem ochutnal. 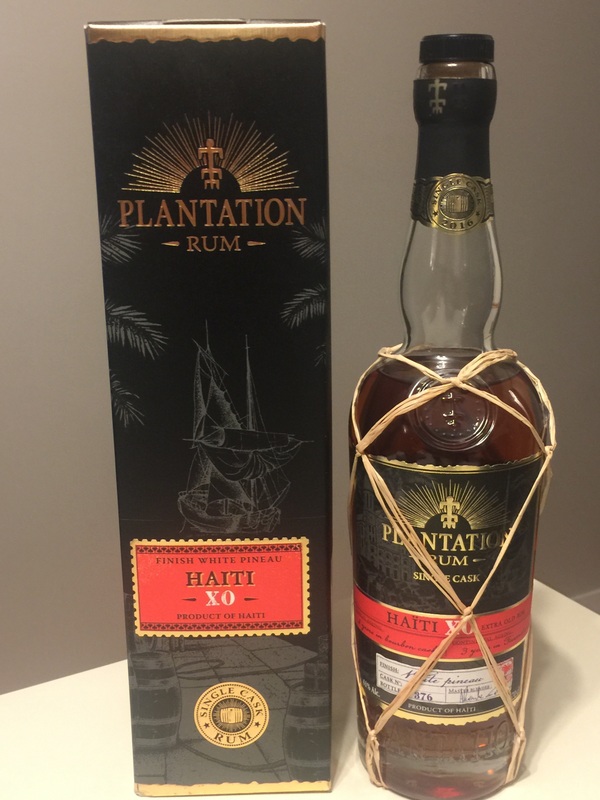 Bought a bottle of Plantation Haiti XO Single Cask White Pineau Finish while vacationing in Martinique. Very nice and high end packaging, bottle and label design. Light golden color. Very offputting typical Haiti funk smell and taste alongside plenty of oak to the nose and palate. Strong and dry burn at the end. Nasty even when mixed. Fried banana, cumin, burnt sugar and a touch of golden syrup. The nose is heavy oaky funk, cigar-box, and stewed plums. The taste is remarkable, and hard to describe - think rowdy and bittersweet dark stone-fruit with medicine cabinet, cigar wrapper, and old dusty wood. The finish, once the hogo has subsided, is strawberries. Absolutely fascinating. A welcome change from the typical vanilla, molasses, bourbon-y, or otherwise light and unflavorful rums that are flooding the market. It is bold and funky, and like nothing I have ever tasted before. Not a rum for everyone, but definitely on the high-end of my shelf. This one had some very different flavors for me - like leather. Its a funky one for sure. Nice but different. Not one I want to drink all the time but a change of pace for sure. first time trying this and I can't place the aroma just yet. Not too sweet, great finish and flavors. I will edit this once I have had some more. Cask n° 8. Very nice and smooth in the nose: Vanilla and strawberry. Plum and pine-apple on the tongue. And lots of wood. A combination that does not go together very well. All in all too sweet also. Tastes like headache in the morning, I'm afraid. Un goût raffiné! Le viellissement en fut de Pierre Ferrand (3 ans) et le fini en fût de Pineau de Charente blanc nous amène vers une expérience plus européenne qu'antillaise.